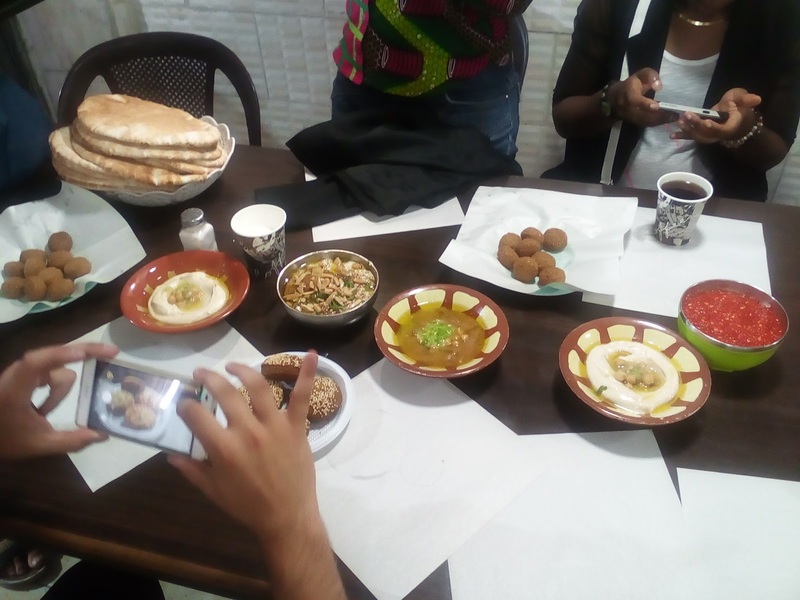 Home / Flamingos / Women / My Jordan Diary, Day 5: Is that Moi moi I see there? 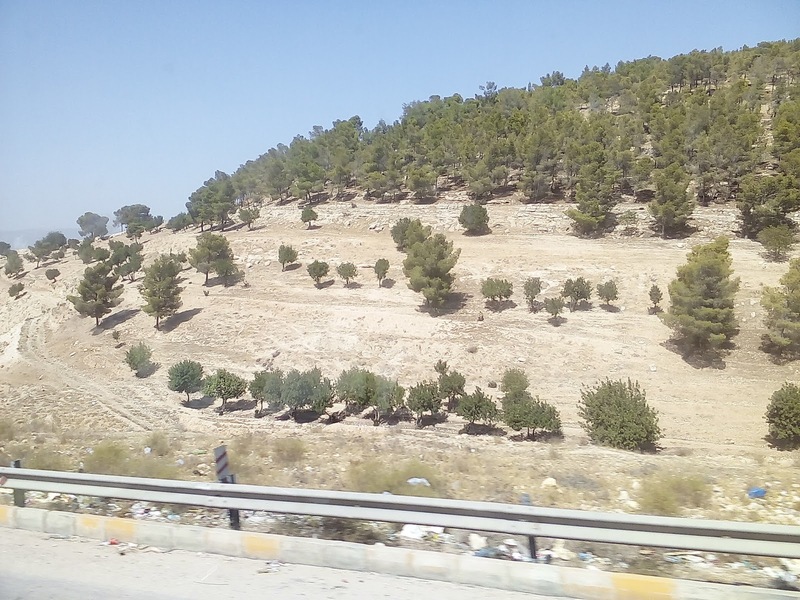 My Jordan Diary, Day 5: Is that Moi moi I see there? I woke up this day not realizing it was a Sunday but it was not just a Sunday, it was a National holiday here in Jordan. It was one that marked the Islamic New Year and the first match-free day of the FIFA U17 Women's World Cup. That however had nothing to do with our activities as AIPS Young Reporters. I had forgotten to set my alarm the night before (or should I say in the wee hours of the morning, because that was when I actually slept), so it felt good to have been up at 7:30 am - which was early enough - without any help, considering how much I was attached to the warmth beneath my duvet. Then the clock began to tick really fast like in the days before today. Once I was dressed, Breakfast was next. This time I asked for Omelette not fried egg, and it was more like what I've known all my life even if it didn't have pepper and onions in it. In class, since there were no matches to cover for the day, we were asked if we had appointments with our various teams; an interview with the coach, captain or something like that. Already, I had thought of visiting the Flamingoes at their Le Royal Hotel so I could speak with the coach, Bala Nikyu and maybe Mary-Ann Ezenagu - whom I was impressed with her individual contributions in the game against Brazil - ahead of their make or mar match on Tuesday against England. The audio I had gotten from the post-match conference of the Flamingoes' loss to Brazil was echo-ridden and not suitable for listening, therefore it was important I got something ear-friendly. So I tendered my request. When we had our coffee break, I quickly used Paloma's phone to call Isabella to inform her that I would be coming to their hotel later in the day, and she made me understand that the spirit in camp is low and no one might want to talk to me. However she revealed to that there would be a training session at 4pm adding that it could provide a better atmosphere to get my interviews. But I did not ask where. I assumed. Prior to the game against Brazil, I was at their final training, albeit just for the 20 minutes they warmed up, at the King Abdullah II Stadium in Amman and so I thought that was where they have been training or maybe somewhere close. So I told our mentors that, and Riccardo agreed to go with me since he was there with me the last time. This time, Fatima also needed to go to the same stadium because the Paraguay team would be training at 5. Our plan was set and we were to leave at 2:15. But after class ended at 12:30, Fatima made me realise I could be wrong about the venue of Nigeria's training. So I bought a recharge card of 1 Jordanian Dinar for 2JD - tax inclusive. If I needed the one of 6JD, I would have to pay 11JD. 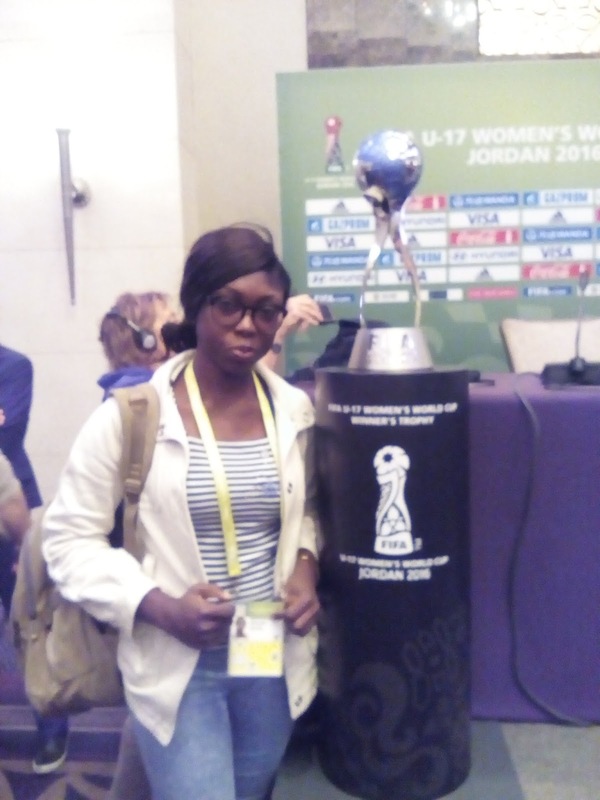 Isabella, Flamingoes Media Officer, confirmed that the training would not be at the King Abdullah II Stadium as I had assumed, but at the Al Jazeera training site located at the King of Bahrain Forest, Queen Alia Airport Street. I met the receptionist to translate it to Arabic on a sheet of paper for me so a taxi driver could easily understand. Gianni Merlo, AIPS President who is from Italy, helped me tell Riccardo about the supposed change in venue and Riccardo had no problem with that. So while Roselyn agreed to go with Fatima, by 2:17, RIccardo and I were already in a cab heading towards the Queen Alia Airport. The driver said he knew where we were going, so we didn't have to worry much but enjoy the view of houses atop hills and mountains. Then we got to a seemingly secluded area where some families were having picnic under cypress trees by the right, while about two nomads or so, were at the desert scenery by the left with their Donkey and Carmel. Finally, we found the Al Jazeera training site, and soon after, the Nigerian team arrived. We were allowed to watch the first 15 minutes of their training after which we were told to stay outside the facility, nevertheless, I was still able to watch the full training since it was only a barbed wire that separated me from the pitch. When they were done working on their passing speed and accuracy as well as taking shots from outside the box etc. for close to two hours, it was time I spoke with the coach, but he didn't want to speak with me, asking me instead to come the next day, for their final training and then Press Conference in Al Zarqa. Obviously, he wasn't in the mood, but I didn't have the luxury of coming again the next day and so I had to beg. In the end I could only ask three out of the six questions I had lined up for him after which Riccardo and I were on our way back to the hotel. Riccardo had asked the driver to wait for us, it surely would have been frustrating for us to find another cab if he didn't. Back at the hotel, I had dinner where I saw something that looked a bit like moi moi. But with the plenty names that followed my asking, it was surely was not and I left it in peace. I did my story for the AIPS in preview of Nigeria's game against England on Tuesday, did another story for LadiesMatch regarding how important the new week was for Africa, wrote day 2 and 3 of my belated diary before going to bed. I didn't tell you my roommate has branded me a "workaholic". While we were in class in the morning she and asked me if I knew the Rihanna song "work, work, work, work, work" and as soon I said yes, she said the song was for me.